For all those who are matcha obsessed our chefs and mixologists have incorporated this antioxidant-packed ingredient into unexpected places throughout our menus. From cocktails and lattes to bao and octopus, here are a few of our favorite matcha dishes and drinks to try. Enjoy! 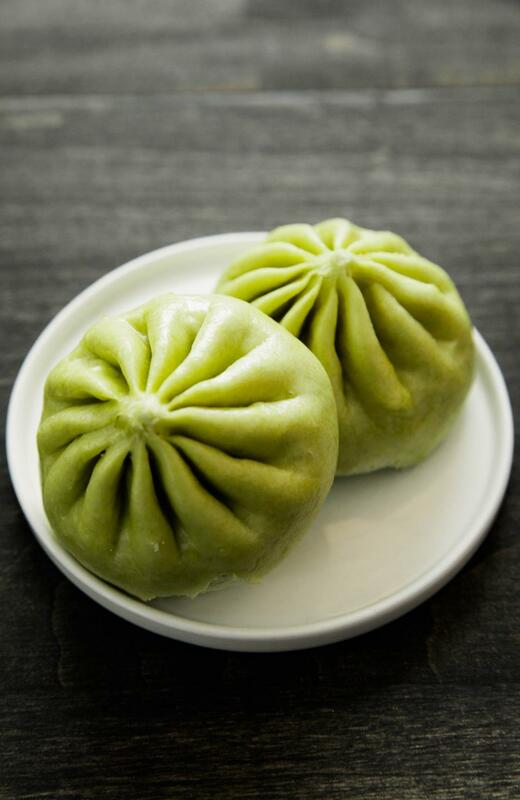 Wow Bao’s Matcha Coconut Bao is a steamed dessert bao made with a green tea-coconut custard filling with a matcha green tea bun. 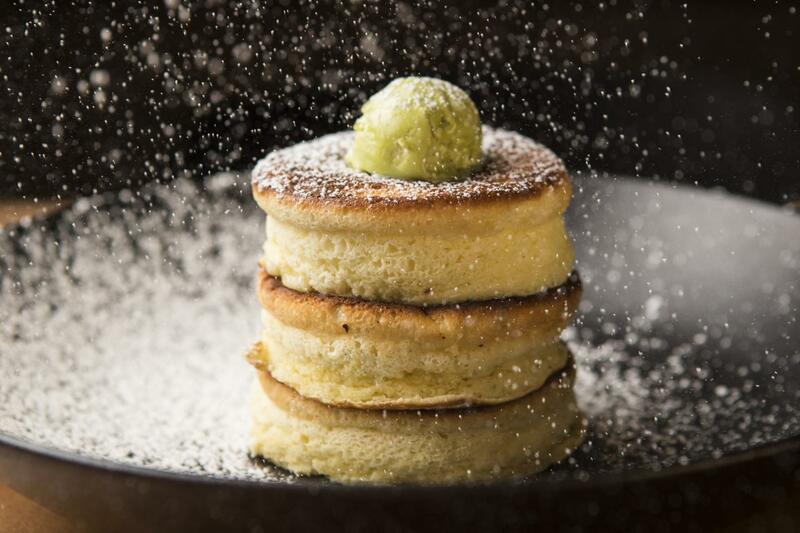 At Sushi-san, have breakfast for dessert with the Japanese Breakfast: three Japanese pancakes, made soufflé-style and piled high, dusted with powdered sugar and topped with matcha butter and Okinawan Black sugar syrup drizzled tableside. Okinawa sugar is a dark, rich sugar with a deep flavor similar to molasses, made from sun-drenched sugarcane. 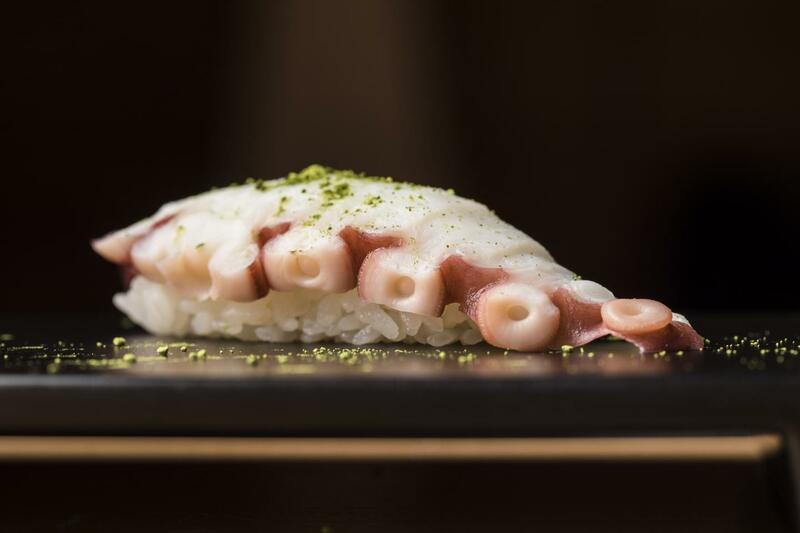 Sushi-san’s Chef Kaze Chan also offers Matcha Octopus that’s been cooked with matcha green tea, soy, then served as nigiri or sashimi. 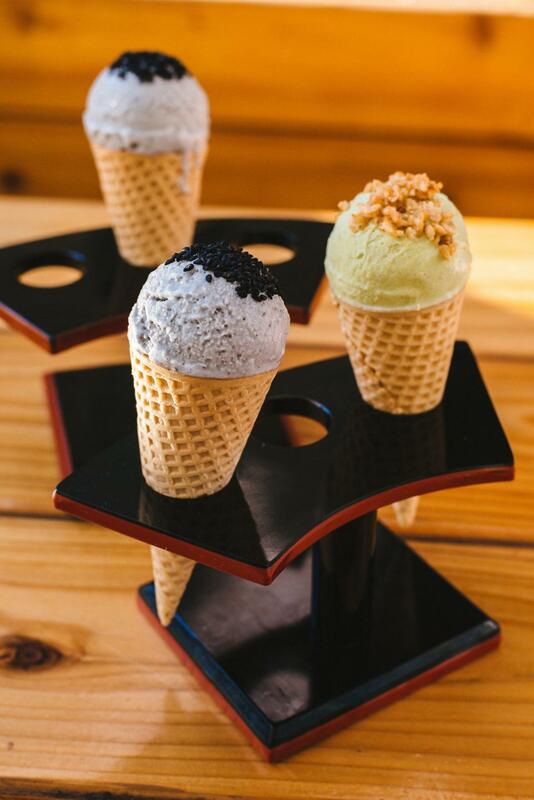 Ramen-san and Sushi-san both serve up Caramel Matcha Ice Cream Cones with vanilla bean and matcha ice creams that have been swirled with miso caramel and are served in a sugar cone filled with miso-caramel and topped with candied puffed rice. 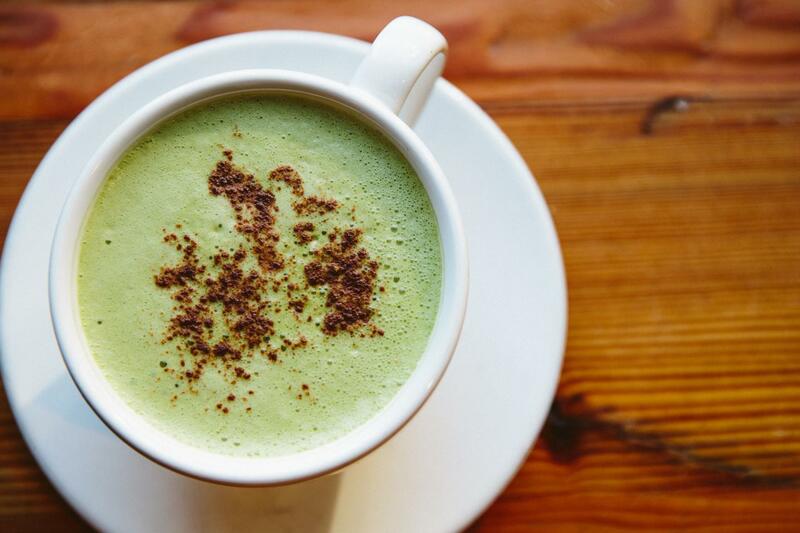 For your matcha caffeine boost, head to Beatrix and try the Cinnamon Maple Matcha Latte. 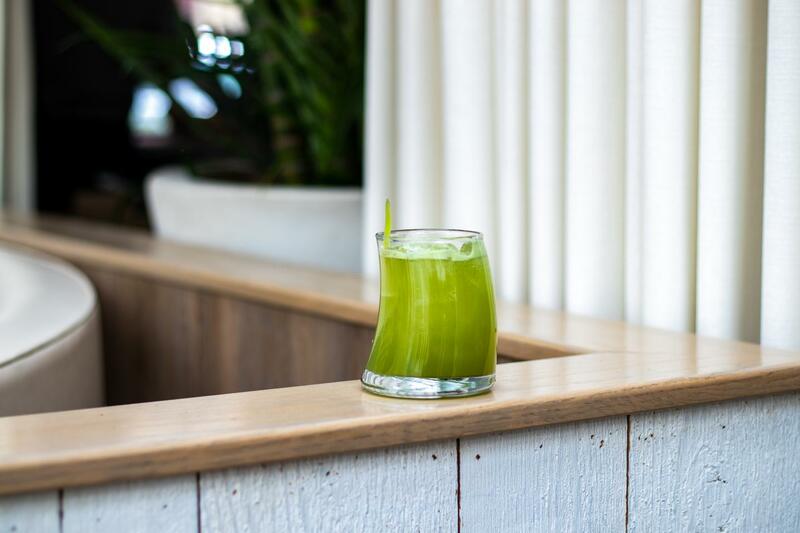 Summer House Santa Monica in Chicago has incorporated matcha into the cocktails and mocktails. 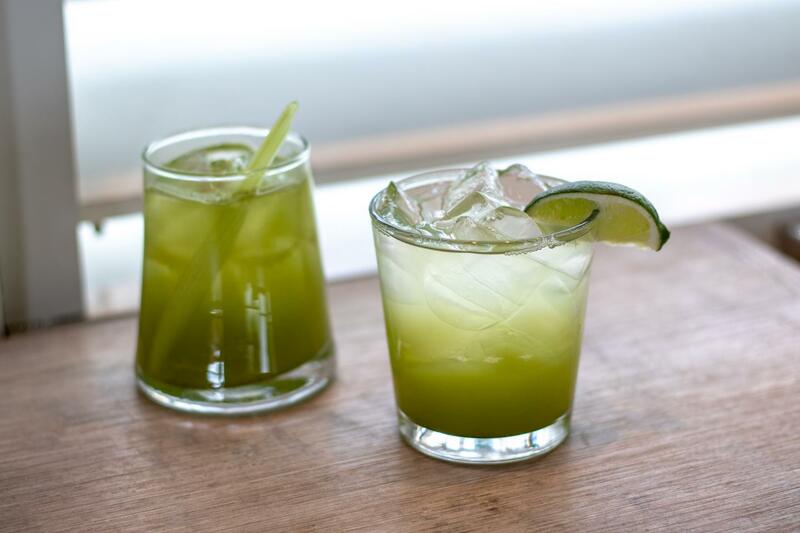 Try the Zero Proof Cocktail (non-alcoholic) Rise & Shine with matcha, lime, agave and celery juice. Want something boozy? Sip on The Weekender with St. George Terroir Gin, matcha, elderflower, lime and honey. It’s still healthy because of the matcha, right?